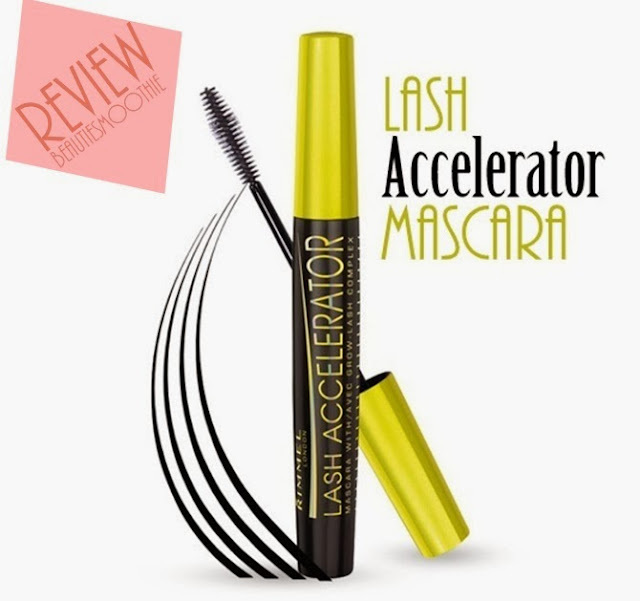 I bought the Rimmel Lash Accelerator Mascara a month ago, so the time has come to write a review about it! I haven't used mascaras of Rimmel before, so I was pretty curious about the quality of this one. So what does this product promise? Rimmel says: "Our first mascara and lash treatment in one that works both instantly, and overtime with Grow Lash Compex. Instantly up to 80% visibly longer looking lashes. Up to 117% visibly longer looking lashes after 30 days of use." Basically it says the more and longer you use the mascara, the more your lashes will grow. Very promising, right? What girl doesn't like long natural lashes? The packaging is very simple. A pretty straight and thin mascara in bright lime and black. The colors of the mascara actually caught my eye in the drugstore and made me reach for this product. I think it looks simple but fun. The brush is thin and long. I like these kinds of brushes, they make it easy to get to the roots of your lashes or the bottom lashes. On the left me without makeup, on the right me with the Rimmel Lash Accelerator Mascara. The brush, thin and long brush that makes it easy to reach all top and bottom lashes. The price, only €12,99. Not much for a mascara. My lashes haven't grown any longer after using the mascara for a month. So their main selling proposition isn't fulfilled. Doesn't separate my lashes, it makes them look clumpy and sticky like spider legs. Doesn't add much volume to my thin lashes. Would I buy the Rimmel Lash Accelerator Mascara again? No I wouldn't, I have tried out better mascaras than this one. It just doesn't do it for me. I'd rather pay 5 euros more for a mascara that elongates and separates my lashes. Hope you found this review useful!